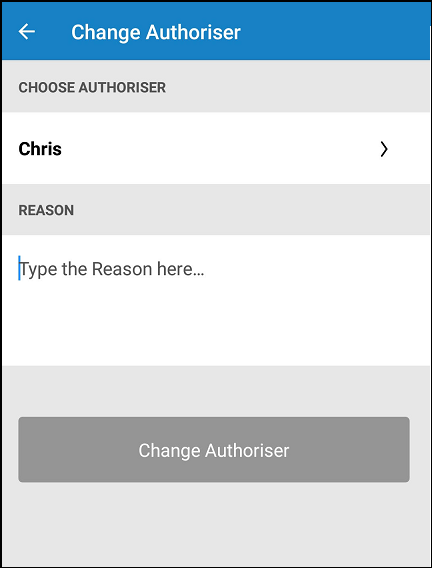 In the Flux app, you can also view who the authoriser(s) are for a specific invoice. If an invoice was assigned to you and you are not the right person to authorise the invoice, then you can easily reassign the invoice to another authoriser if you know who this should be. When you click on Change Authoriser, you can re-assign the document to another authoriser. After selecting another authorizer, it is mandatory to indicate in the "Reason" box why the authoriser is being changed. After filling in the comment, the button "Change Authoriser" will turn blue and you can save changes.